Data is a lifeblood of businesses. To process, communicate, and store data, organizations rely on information technology. As the world is increasingly becoming interconnected over the World Wide Web, the need for a robust cyber security is no longer a matter of choice and is a mandate. To avoid falling for cyber threats and risks such as hacking and malware, we have listed a few important cyber security tips. Have a look. Install antivirus and antispyware software on every computer in your office to protect data against viruses, spyware, and other malicious codes. Make sure to update these software regularly to protect your computer systems against new viruses and malicious codes. 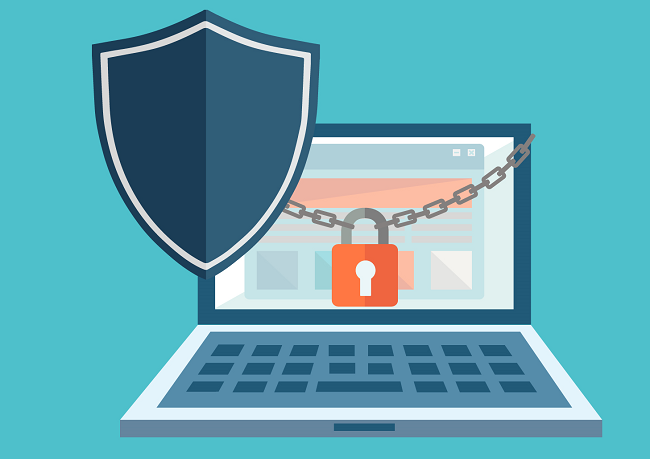 Secure your internet connection and Wi-Fi network by encrypting information or using a firewall. To prevent an unauthorized access to the network, secure it with a password. Also, ensure to hide the Service Set Identifier (SSID) of your wireless access point or router. Scanning your corporate network regularly will also help in avoiding and identifying the potential cyber security risks. Business users work with an exorbitant amount of data that needs security and therefore, it is imperative for organizations to establish cyber policies and security practices to ensure even your employees play their part in protecting business data. Ensure your employees follow the security practices without fail such as changing passwords regularly. Also, clearly outline and communicate the consequences of breaching the cyber security policies. Ensuring data security is also your employees’ job. They must, therefore, be well informed and educated on online data security threats, risks, and preventive measures. To do this, you can, conduct seminars, teach your employees the ways to recognize a cyber attack, and conduct regular tests to judge your employees’ knowledge about IT security. Creating a strong password is not enough to protect your data as a password cracking software can crack it in just a couple of minutes. To prevent a hacker from accessing your account, reduce the number of password attempts and/or secure it with the layers of authentication. By doing this, you can prevent an unauthorized access not only from outside but also from within the organization. Robust cybersecurity systems are a must for every enterprise to safeguard the interests of your business, employees, and other people associated with it. Businesses that work with enormous volume of data are most likely to get their data security compromised, which shouldn’t be the case. If you are looking to tighten up your data security, experienced IT professionals at i2k2 Networks can help. To learn more about our IT services, fill out our contact form. You can also call us at +91-120-466 3031.